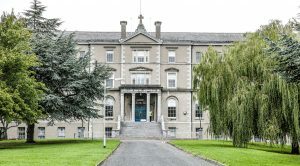 The archdiocese of Dublin has revealed it is currently in talks with the GAA about the sale and future development of the former Holy Cross College seminary building in Clonliffe and its adjoining lands. In a statement on Wednesday, the diocese revealed it had entered into “exclusive” discussions with the GAA about the Clonliffe campus. Clonliffe is the administrative headquarters of the Archdiocese of Dublin, and is used for retreats, conferences, meetings and courses. The diocese said it was cooperating closely with the GAA on plans to ensure the lands and buildings would be developed into one of the most significant community projects for the north of the city in many years. Subject to planning permission, it is envisaged the Clonliffe property will include social, affordable and private housing and sports facilities for children and young adults as well as a hotel and commercial opportunities providing employment for people living in the area. The sale will generate funds that will assist in the training of priests for ministry in the Archdiocese of Dublin. The GAA and the diocese have said they are committed to providing increased access for the public to landscaped greenways and park facilities. Archbishop Diarmuid Martin said the project represents a vital opportunity for the Church in Dublin to reimagine its place in the life of the city at a time of enormous change and challenge. The Archbishop said it is a priority for the diocese to ensure the buildings and lands are used for the benefit of the local community and a legacy for the city of Dublin. It is planned to relocate the diocesan support services of around 80 people to a smaller, purpose-built modern pastoral centre with meeting rooms, educational facilities, office space and an oratory. The former Mater Dei building, which the diocese made available to Dublin City Council to become a Family Hub for homeless families and which is run by Crosscare, will not be affected. The proposed sale of Clonliffe buildings and lands will allow the diocese of Dublin to reinvest in people-led pastoral programmes as the Church in the capital looks to different forms of ministry in the coming years. This would include investing in vocations and the ongoing formation of lay people and priests. In its statement, the archdiocese of Dublin said that the ‘Working Together for Mission’ programme spearheaded by Archbishop Martin in the past decade involves integrating the respective roles of priests, deacons, religious, full-time lay ministries and the establishment of communities that involve wider activity of all. “It will be about men and women who have the ability to speak the language of faith authentically in a world where that language may be alien and to speak in a way that attracts,” Archbishop Martin explained. Holy Cross College, Clonliffe, has not functioned as a seminary since the year 2000. Some buildings on the Clonliffe campus are listed. The Archdiocese is working closely with architectural experts to ensure the proper preservation of historical and sacred objects and fixtures in the event that a sale proceeds. The use of any funds raised will also comply with the regulations of the Charities Act 2009. According to the diocese, the upkeep of the historic building has been a significant burden on diminishing diocesan resources. In its statement the diocese said “it is no longer financially sustainable or prudent for the diocese to retain a property of this size and scale, which is no longer fit for its purposes”. Holy Cross College was founded in 1854 as the diocesan seminary for Dublin by Cardinal Paul Cullen (1803–1878). Due to a fall in vocations, from 2001 students for the priesthood for the diocese were transferred to the national seminary in St Patrick’s College, Maynooth and more recently to the Irish College in Rome.